The badminton tournaments at the 2016 Summer Olympics in Rio de Janeiro are scheduled to take place from 11 to 20 August at the fourth pavilion of Riocentro. A total of 172 athletes are expected to compete in five events: men's singles, men's doubles, women's singles, women's doubles, and mixed doubles. Similar to 2012 format, a combination of group play and knockout stages has been maintained at these Games. In all the doubles tournaments, the Badminton World Federation has instituted several changes to the competition rules after the match fixing scandal from the previous Olympics, as all pairs finishing second in their groups would be placed into another draw to determine who they face in the next round, while the top pair in each group must have a fixed position matched to its designated seed in the knockout phase. 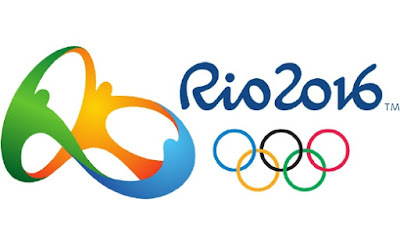 The Olympic qualification period takes place between May 4, 2015 and May 1, 2016, and the Badminton World Federation rankings list, scheduled to publish on May 5, 2016, will be used to allocate spots. Unlike the previous Games, nations could only enter a maximum of two players each in the men's and women's singles, if both are ranked in the world's top 16; otherwise, one quota place until the roster of thirty-eight players has been completed. Similar regulations in the singles tournaments also apply to the players competing in the doubles, as the NOCs could only enter a maximum of two pairs if both are ranked in the top eight, while the remaining NOCs are entitled to one until the quota of 16 highest-ranked pairs is filled.